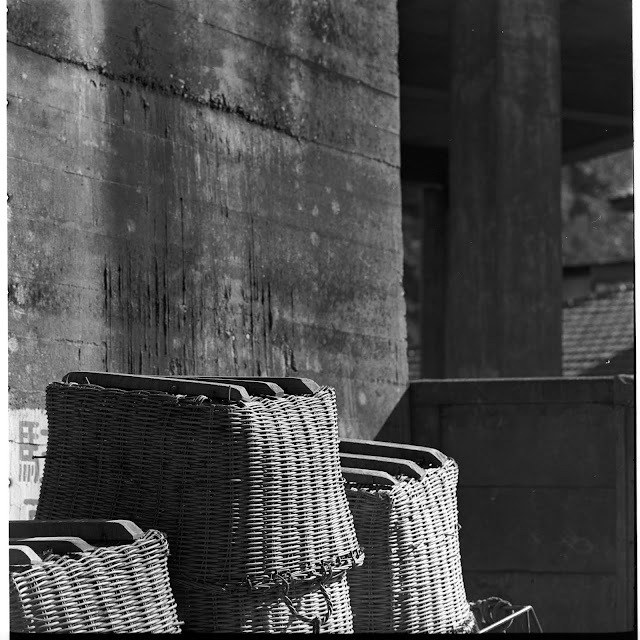 I'm pretty sure these baskets are sitting on the beach in Zushi, near where we lived. I think we're looking through the underpass at the right edge that leads to our house, and that the concrete wall on the left is the retaining wall at the top of the beach. Regardless, it was taken in Japan in the late 60s.